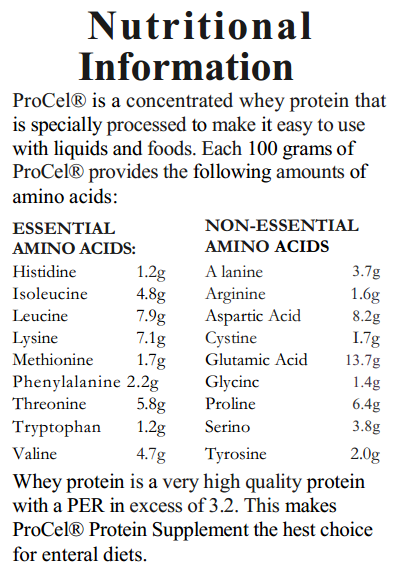 ProCel BUY Protein Supplement, ProCel Whey Protein, ProCel Protein, ProCel Protein Supplement, GH79, GH80, Whey Protein. 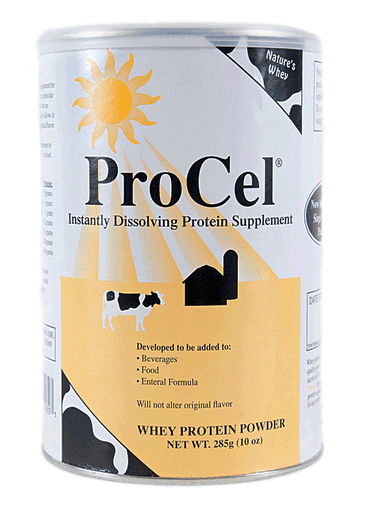 ProCel is a Protein Supplement that is made of instantly dissolving whey protein. 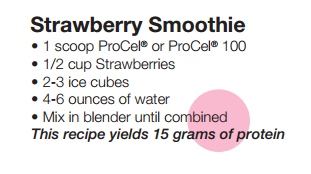 Your favorite foods or drinks will not be altered in original taste by mixing with ProCel. 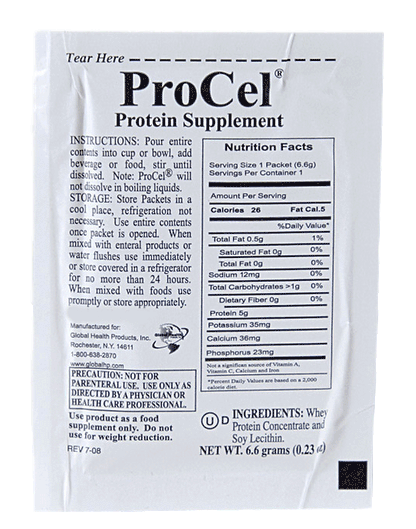 Manufactured by Global Health Products, ProCel Protein Supplement is a concentrated source of high quality protein. 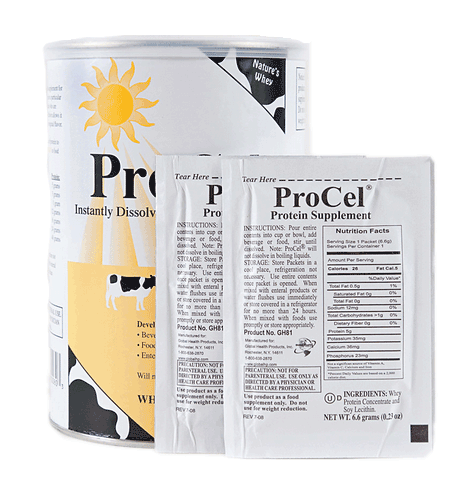 ProCel offers additional protein to those who are unable to obtain sufficient protein from their normal diet. Transparent in appearance after mixing, ProCel serves as both an Oral Protein Supplement and as a Tube Feeding Enteral Protein Medical Food. 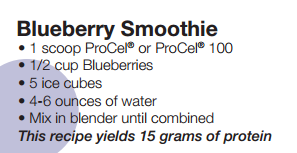 ProCel’s unique ability to completely dissolve in a small amount of liquid without clumping, makes it the ideal protein supplement for tube fed patients. ProCel Protein will not plug enteral feeding tubes. Dissolves instantly in your favorite foods or liquids without altering the original taste. Will not plug enteral feeding tubes. ProCel can be added to liquids or solids. The temperature of liquids and solids can be either cold or hot. 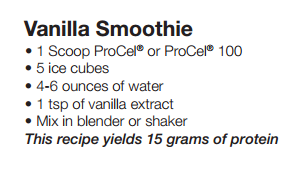 Each 6.6gm serving of ProCel® is equal to 5gms of whey protein. 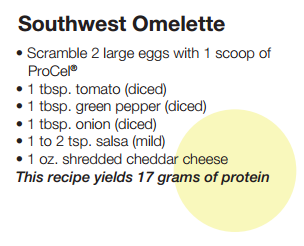 ProCel® only requires 2-4 oz. of liquid to quickly dissolve. 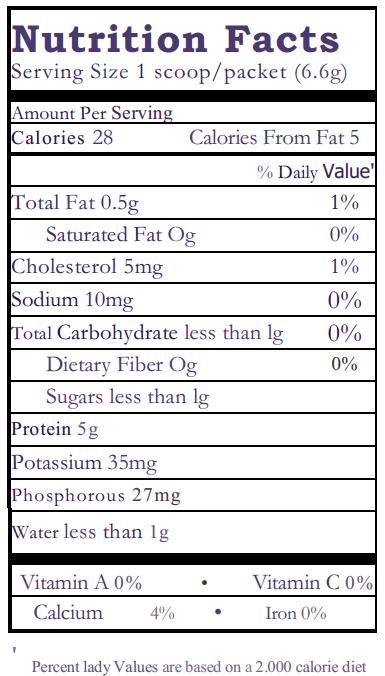 ProCel Whey Protein Supplement Product Numbers: GH79, GH80. Size Options: 6.6 Gram or 10 Ounce. Container Options: Packets or Cans. 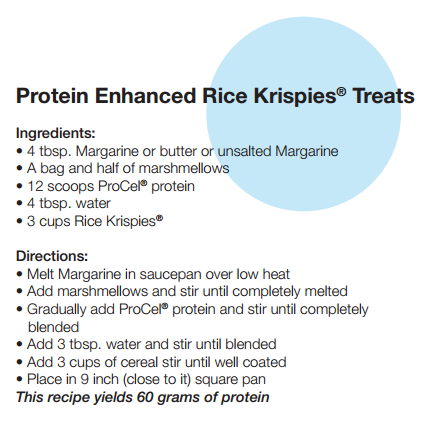 Whey Protein Concentrate and Soy Lecithin.